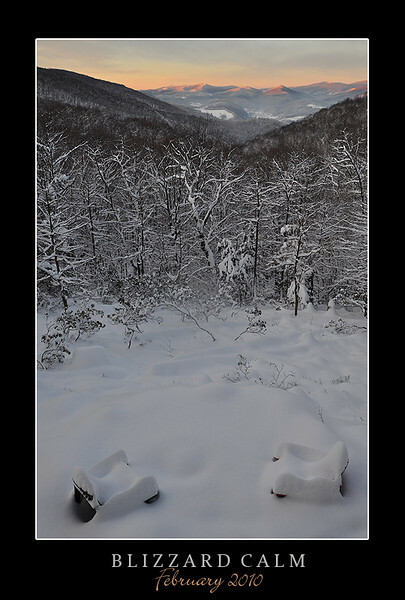 I took this photograph at sunrise on the morning following two consecutive days of heavy snow in February 2010. There was an unbelievable stillness that morning--no wind stirring or birds chirping. Quite spectacular and special!